Here is how you can run Windows 8 developer preview from your USB drive. All you need is a PC with Windows 8 installed, DVD of Windows 8 or the image (.iso) file, a USB drive (with a capacity of at least 16 GB) and WAIK (Windows Automated Installation kit). It is around 1.7GB, and it consists of a utility called imageX.exe which is used to deal with .WIM files. After downloading and installing WAIK in Windows 8 developer’s preview PC, you can find the imageX.exe file in C:\program files\Windows AIK\Tools\x86 (for 32-bit). Copy the imageX.exe file to C:\. For 64-bit system, imageX.exe file can be found in C:\program files\Windows AIK\Tools\amd64. 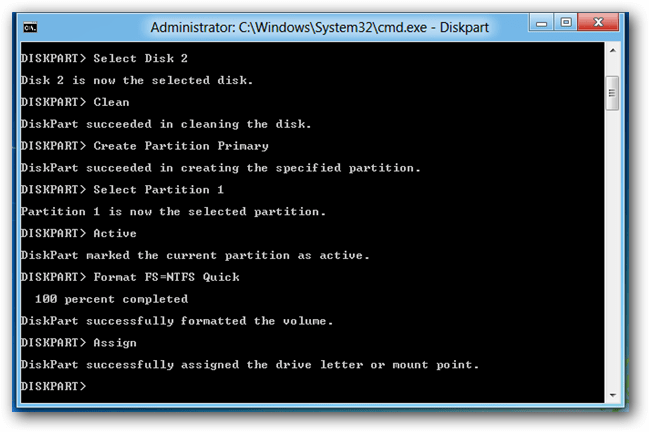 Now, mount Windows 8 image (.iso) file to a virtual drive. You can use software like PowerIso for this purpose. Alternatively, if you have Windows 8 installation DVD, you can insert it in the DVD drive. Now, Open Windows 8 command prompt as an administrator (In Windows 8 start screen, type cmd and press CTRL+SHIFT+ENTER). Now your USB drive is ready, and you can use it to run Windows 8 developer’s preview.